Jesse Lingard has no doubts that Manchester United's players will thrive on the pressure of Sunday's derby clash against Manchester City. United go into the mouth-watering meeting nine points behind Pep Guardiola's Premier League leaders, but make the short trip to the Etihad Stadium full of confidence after three wins in a row. 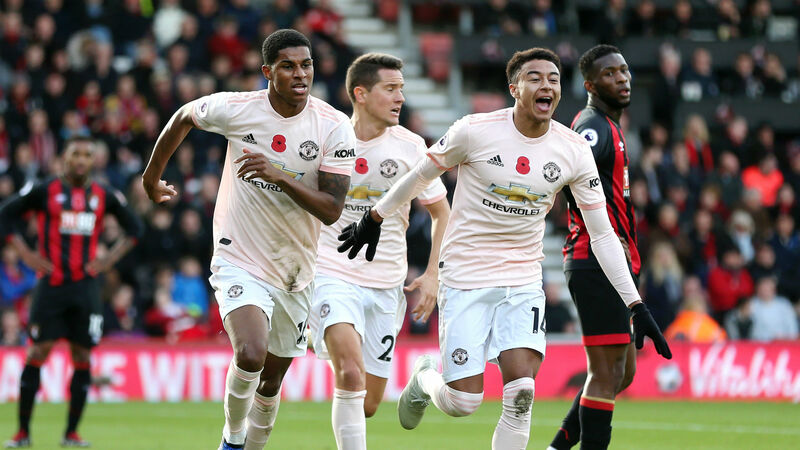 The latest of those was a dramatic 2-1 Champions League victory over Juventus on Wednesday, which saw United score twice in the last four minutes, and Lingard – who played the final 20 minutes in Turin – has faith that his team-mates will be fired up for the chance to inflict a first league defeat of the campaign on their city rivals. "I think these big games are what you play for," he told MUTV. "The more pressure there is, you fire off that pressure. They're the games you want to be involved in, like everyone else. "The most important thing is to believe, in ourselves, that we can do it. I believe in this team." Lingard has played in Manchester derbies at every level of his career, having come through the youth ranks at United, and insists the intensity never diminishes. "We always played them throughout the age groups and they were big games and, especially in the cups, it was a special feeling," he added. "There was pretty much always that rivalry from an early age, in every game. You carry it on to the first team. They were intense games as everyone came to watch those matches. "In derbies, there were always tackles flying in. You have to think about, as a team, how you correct yourself to have a good mental state, to have a good mentality going into the game and throughout the game."